AWS training from National Business Training can help you accelerate your knowledge of the Amazon Cloud universe. NBT offers 100% instructor-led, live online Amazon Web Services courses. Start your path to obtain AWS certifications. AWS courses include lessons in Architecting, Business, Big Data, Developing, and DevOps engineering. AWS offers a complete set of infrastructure and application services that enable you to run virtually everything in the cloud. This includes enterprise applications and Big Data projects to social games and mobile apps. With traditional infrastructure, it can take weeks to get a server procured, delivered, and running. With AWS, you can provision resources as you need them, deploying hundreds or even thousands of servers in minutes. Agility at low cost and global reach through the cloud are just two of the factors required today to remain competitive, whether you are a vast enterprise or a small start-up. AWS Certifications recognize IT professionals with the skills and expertise to design, deploy, and operate applications and infrastructure on AWS. With cloud-based technology on the rise, an Amazon Web Services certification can help advance your career. 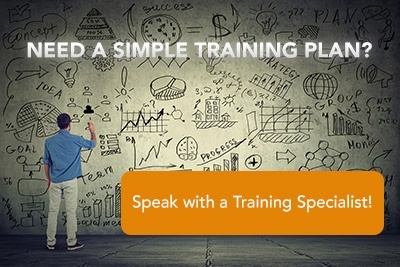 Contact National Business Training to learn how to achieve AWS certification with the help of a Training Solutions Plan today! Receive an in-depth discussion and practical hands-on training of Microsoft Azure Infrastructure Services (IaaS) including Azure Virtual Machines, and more. Building on concepts introduced in Architecting on AWS, this course covers how to build complex solutions which incorporate data services, governance, and security on AWS. AWS Business Essentials helps IT business decision makers understand the benefits of cloud computing and how a cloud strategy can help you meet your business objectives. DevOps Engineering on AWS covers the core principles of the DevOps methodology and examines a number of use cases applicable to startup, small-medium business, and enterprise development scenarios. System Operations on AWS is designed to teach those in a Systems Administrator or Developer Operations (DevOps) role how to create automatable and repeatable deployments of networks and systems on the AWS platform.